The worst case would be if the emergency spillway (which was built in the 1960s and has never been used) starts to erode - potentially leading to the formation of a deeper channel allowing for a rapid uncontrolled outflow from the dam. Only just over a month ago California was at the back-end of a miserable 5 year drought, just 40 odd days later empty reservoirs are overflowing emergency spillway’s leaving residents and water authorities very worried. The Oroville Dam California’s second-largest reservoir has for the first time since it was completed in 1968, begun spewing water from its storm-swollen reservoir overtopping the emergency spillway Saturday, sending sheets of water down a forested hillside and adding to the murk and debris churning in the Feather River below. The emergency releases underscored the perilous situation confronting the operators of California’s second-largest reservoir for the rest of this extraordinarily rainy winter. 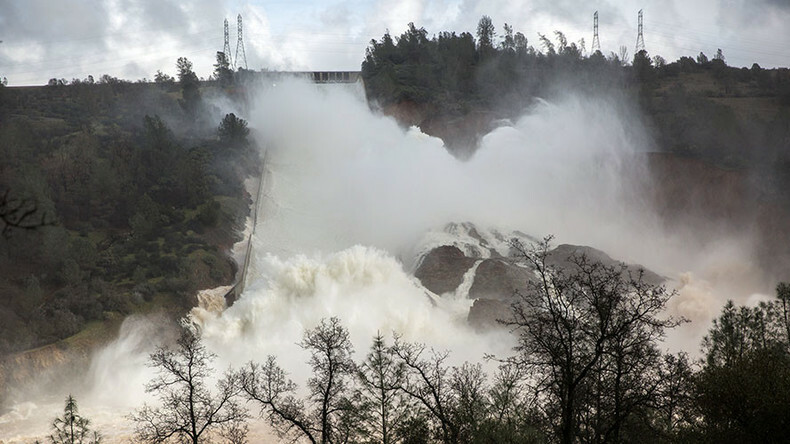 Unable to release enough water from the dam’s 3,000-foot main spillway, which split open Tuesday and continues to erode, the California Department of Water Resources announced that storm waters reached the top of the dam at around 8 a.m. Saturday and began flowing over the concrete lip of the adjacent emergency spillway onto a wooded ravine below reports the Sacramento Bee. 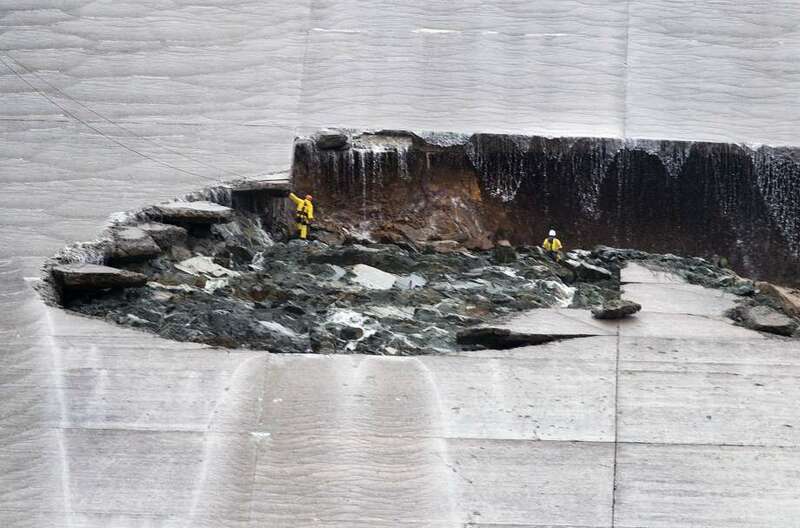 The flow began as a steady, smooth spill across the 1,700-foot-wide lip of the emergency structure, and was expected to peak at 6,000 to 12,000 cubic feet of water per second at around midnight Saturday. 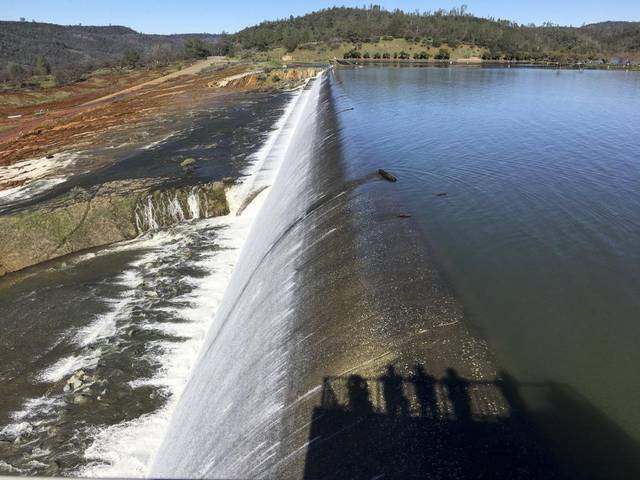 With dry weather in the near-term forecast for the Sierra and inflows to the reservoir slowing, the lake level should fall below the emergency spillway as of Monday night, said Doug Carlson, a DWR spokesman.